The “Connecting the Dots … with The RESPECT PRINCIPLE” book cover is at the printer, though the manuscript has been delayed due to software problems, but the end is in sight. Re-formatting and converting for the printer this weekend … book proof from the printer expected to arrive this week … the first 100 Limited Edition in the next few weeks too! Then .. ah well, the magic will begin! From the Oscar Winning Best Picture, “The Imitation Game” starring Benedict Cumberbatch as Alan Turing … based on the true story of the English mathematics professor who created the first computer to end German’s terror over Europe. STRONG, HEALTHY, BALANCED BOUNDARIES … WHAT a TREASURE! The focus to overcome poor boundaries created by previous experiences and conditioning, plus my awareness of this fact and my desire to establish strong, healthy, balanced boundaries for a more respect-filled life has directed me to remove some personal posts and to be more selective about posting personal information online … instead I will share with friends through get-togethers, emails, phone calls, Skype calls, and letters even sent through the post! 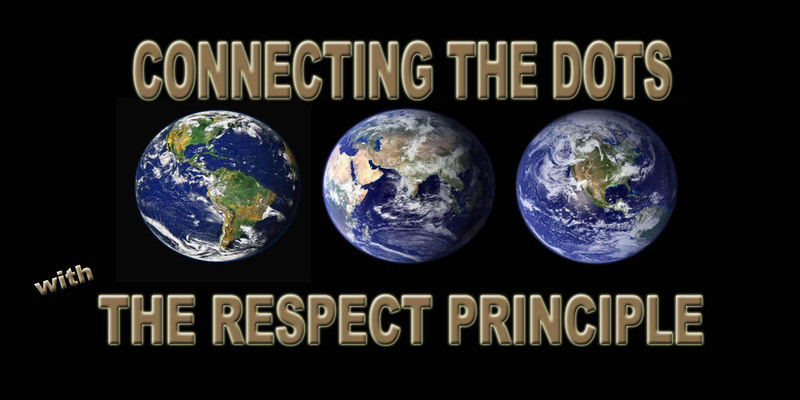 … all because of Connecting the Dots … with The RESPECT PRINCIPLE’s impact on raising my Respect Level to yet a higher degree. But there will still be much to share … till next time then!